We will endeavour to ship all items purchased online within 2 business days. Shipping times are estimated between 5 - 10 business days. However, we advise that you please allow up to 10 days for all deliveries. We will notify you when your order has been dispatched. Please contact us if you have any problems with your online order. The White Bungalow & White Havana do not offer a refund for change of mind. Exchange or credit are available within 14 days of purchase (postage costs are not redeemable). Items are to be returned in original packaging and with tags, unworn and unwashed. Please be aware that The White Bungalow & White Havana are not held responsible for missing items on return. Customers will be responsible for shipping charges unless returning an item deemed to have a fault. In this case, contact customer service to organise method of shipping. If an item has a fault, you will receive a refund and / or exchange. Sale items are not covered by our Returns & Exchange Policy. You are welcome to exchange your online order in person in our White Havana Retail Store, provided you have the original receipt. If you would like to exchange an online order due to change of mind you may also return post the item, at your own expense. Normal postage charges apply for all exchanges. – Fill out the Exchange / Return Form (download below) correctly and completely filled out, and signed and dated. This form should be returned to us, along with the product. – For change of mind purchases, return postage must be paid by the purchaser. – The purchased item(s) must be returned in new, unworn, unwashed and perfect condition, and must have all tags and branding still attached. The White Bungalow or White Havana will not accept the return of any item(s) which we consider ʻusedʼ in any way. Please note, in such cases, the ʻusedʼ item(s) will be returned to you and you will be charged for any and all additional freight costs. In the case of an exchange / return, your purchase will be exchanged / refunded ASAP. The White Bungalow or White Havana is not responsible for delayed or lost packages being returned. Any returns received without an Exchange / Return Form or that do not comply with the above may be denied at the discretion of The White Bungalow & White Havana. We guarantee same day flower deliveries to residential addresses if flower orders are placed by 12:30pm on a weekday and 10.30am on Saturday. Unfortunately, at this time we do not deliver on Sunday's. This does not include funerals or special events. If your order is placed for same day delivery after the cut off time, The White Bungalow will send your order on the next available delivery day. All delivery prices are subject to change for special dates inc. Valentine's Day, Mother's Day etc. If you wish to send to a Business address for same day delivery, we recommend ordering the day previous or early the morning of to guarantee the flowers arrive before end of trade. Flower deliveries to business addresses will be made before 5pm unless otherwise specified. Flower deliveries to residential addresses will be completed before 6:30pm. It is the customers responsibility to acquire the correct delivery address and details of the recipient. Any extra deliveries due to incorrect address information will incur delays and additional delivery fees. Deliveries to unit complexes or apartment blocks require a suitable contact number before delivery. . In the event of a receiver not being home but permission has been given, the flowers will be left in a safe spot, out of sight, and a calling card will be left. If permission is not given, the flowers will be brought back to the shop and the customer will be contacted. Additional delivery fees apply. Multiple items going to the same recipient/address may also require additional fees. We make every effort to create your order as per the item you have selected, however, if particular flowers are not available, The White Bungalow or White Havana will replace them with a flower that best suits the design to ensure your order arrives without delay. We require a minimum of 24 hours notice for any changes or cancellations to your order. The White Bungalow or White Havana is unable to cancel orders that have already been made or are in transit. Refunds are not available, however, we will offer a credit to be used in-store. These conditions do not apply to weddings or events. Conditions of any wedding or event will be discussed upon booking. Any dissatisfaction with orders must be made aware within 48 hours of delivery. Photo evidence must be provided for our florists to assess the situation. Alternatively the flowers should be presented in store to The White Bungalow florist for assessment. Receivers must follow the care instructions on the card they receive, and follow our flower care tips as seen here on our website. Regretfully, The White Bungalow or White Havana cannot arrange a resend of fresh flowers or a credit note be given without first being assessed by a White Bungalow or White Havana florist. Any orders requesting a morning delivery time must be booked within business hours the previous day. If you require a same day morning delivery, please contact us instore so we can organise an accurate delivery quote. 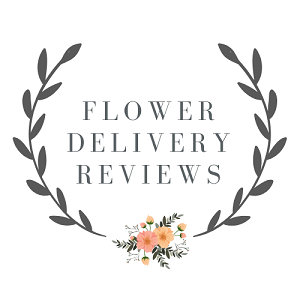 If any time requests are made online, or if you have selected multiple arrangements for delivery, it is likely that we will need to contact you before we send out your blooms in regards to a potential surcharge. Search for your postcode to select your shipping zone. Remember the zone. You'll need it when you checkout. If your postcode does not appear the address is outside out delivery area. For all other information please see our Terms & Conditions.